New Image of The Green Goblin from 'THE AMAZING SPIDER-MAN 2' Revealed! 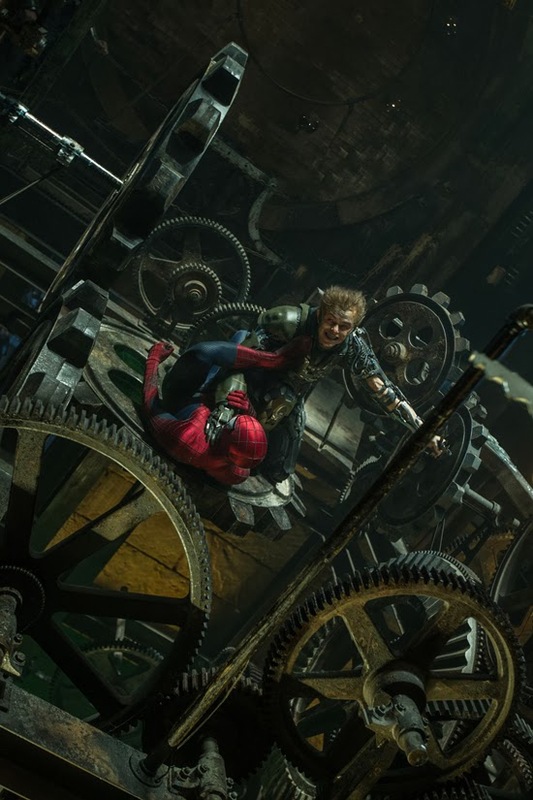 A new image from The Amazing Spider-Man 2 featuring Dane DeHaan as Harry Osborn aka the Green Goblin has been unveiled. The sequel is the second in a planned four movie series that will further expand to include spin-offs for The Sinister Six & Venom. Andrew Garfield continues as Spider-Man in Marc Webb's opus which hits theaters this May 2nd The Amazing Spider-Man 2 also stars Emma Stone, Jamie Foxx, Campbell Scott, Embeth Davidtz, Paul Giamatti, Sally Field, Colm Feore, Chris Cooper, Felicity Jones, B.J. Novak & Sarah Gadon. We’ve always known that Spider-Man’s most important battle has been within himself: the struggle between the ordinary obligations of Peter Parker & the extraordinary responsibilities of Spider-Man. But in The Amazing Spider-Man 2, Peter Parker finds that a greater conflict lies ahead. It’s great to be Spider-Man. For Peter Parker, there’s no feeling quite like swinging between skyscrapers, embracing being the hero, & spending time with Gwen [Emma Stone]. But being Spider-Man comes at a price: only Spider-Man can protect his fellow New Yorkers from the formidable villains that threaten the city. With the emergence of Electro [Jamie Foxx], Peter must confront a foe far more powerful than he. And as his old friend, Harry Osborn [Dane DeHaan], returns, Peter comes to realize that all of his enemies have one thing in common: Oscorp. Image via Total Film. I'm reading: New Image of The Green Goblin from 'THE AMAZING SPIDER-MAN 2' Revealed!Tweet this!